Photo of a 1 year old baby girl in ceremonial kimono. 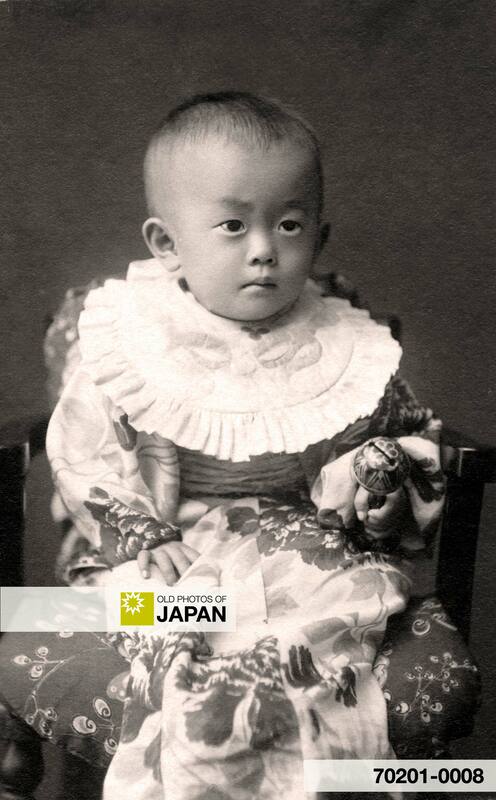 During the early 20th century it was a very popular custom in Japan to take photographs of babies around their first birthday. The writing on the photo mentions her name as Kashiko Matsumoto, born Sep 1911 (Meiji 44). The photo was taken on Sep 17, 1912 (Taisho1). The Meiji Period ended on July 30 1912, so this photo just made it into the Taisho Period (by about 6 weeks). You can also licence this image online: 70201-0008 @ MeijiShowa.com.